Why Aren’t My PPC Ads Showing? You’ve spent hours and hours to conduct keyword research to identify the keywords you want your ads to show for. Then you had to spend several more hours constructing your highly-organized campaigns with tight geotargeting and awesome ad extension variations. And finally you’ve activated your PPC campaigns to start driving that targeted traffic to your site. Only now you aren’t seeing your PPC ads at the top of Google for the keywords you bid on. But, why? 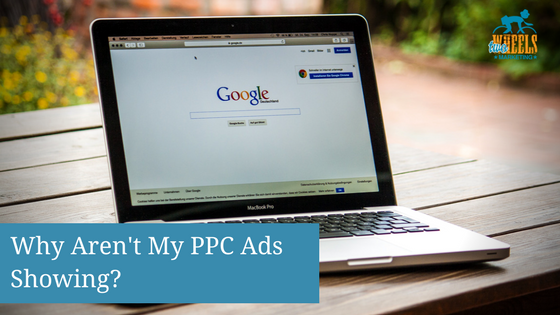 We’ll discuss some of the main reasons why you might NOT see your PPC ads at the top of the search results once you push your campaigns live. Your ads might not be showing because you are searching from outside the geographic area you are targeting. Let’s say you are a local dentist who is looking for new patients within your area, so you set up some campaigns to target “Dentist in (Cityname)” and related keywords. But perhaps you are visiting a vendor or running an errand and do a search to see how your ads look, but you are outside the targeting area that you set for your ads to run in. Your ads would not show when you did a search for your keywords, because you are outside that area. Google Adwords uses a few ways to determine a user’s location: the IP Address of the device a user is searching on, or a user’s location settings (GPS, Wi-Fi, Bluetooth). PPC campaigns are a search auction, so you are likely competing for ad space with a number of other companies for the same keywords. One of the main factors in determining where your ads are listed on the page is your keyword “bid.” This is the maximum amount that you are willing to pay for a click for a given keyword. If your bids are too low, your ads may not show at the top of the search results or even on the first page of search results. If this is the case, you will need to raise your bids, or improve the “quality score” of the keywords you are bidding on. You can read more about quality score here. When setting up your PPC campaigns, you have the option to define and set your “ad schedule.” The ad schedule is basically the days and times you would like your ads to run during a given week. For many service-based businesses (like dentists), this is a wise strategy, because you likely have certain days and times your office is open where you or your staff can answer phone calls. Running ads during off-hours without a call center or someone to answer the phones directly can lead to some wasted clicks. If someone clicks to call you or dials your number, they usually want to speak to someone directly, and may not leave a message on your answering service. If you searched for your ads outside the times you set for your ad schedule, you would not see your PPC ads showing. If it’s a Monday and there is a lot of demand for people looking for dentists, you may get those 5 clicks in the first hour or two of the day. That means, the rest of the day, your ads will not show because you have exhausted your total budget for the day. On Google, you can choose to advertise to people on particular platforms they are using: desktops/laptops, mobile phones, or tablets. In some cases, you may have set up the campaign to target just desktop or just mobile searchers and have excluded the other variation. Depending on your targeting, you may not see your ads show because of your platform targeting settings. Another slight variation to this would be if you use “bid adjustments” on those targeting methods. You can actually bid up or down based on the platform someone is using when they search. Let’s say that you see much better performance from individuals that search on mobile phones. You can bid up (perhaps increase your bid by 25%) when someone searches on their mobile phones. Subsequently, you can bid down on platforms that don’t perform as well. If your bid adjustments are lowered too much, your ads may not show up or on the first page of results. Google has a number of advertising policies which you need to adhere to, or your ads will be “disapproved” and won’t show. This might range from incorrect punctuation, to offensive or inappropriate content. If your PPC ads are not showing, check your ad statuses within the account to see if any of your ads are disapproved. 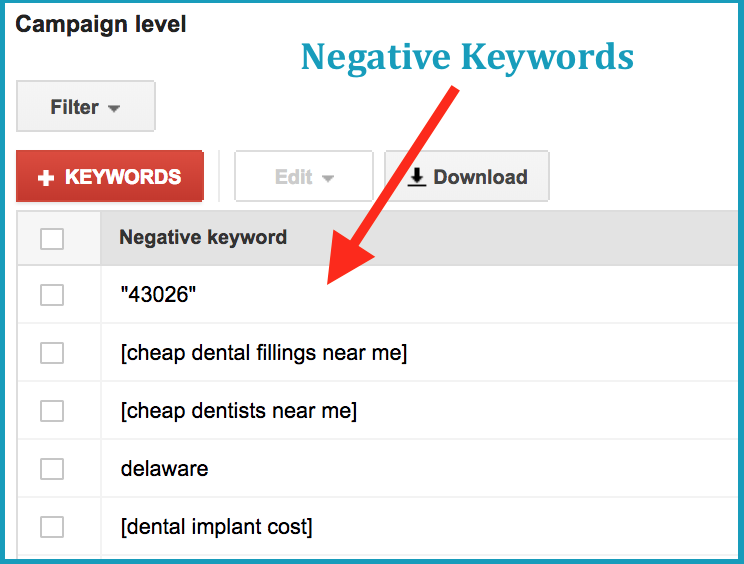 In Adwords campaigns, you can use negative keywords to ensure that your ads don’t show for keywords you know you don’t want to show ads for. Negative keywords basically tell Google not to show your ads any time someone searches with a particular word. If your ads aren’t showing for certain keywords, make sure to check your negative keyword lists both at the campaign and ad group level, and in the “shared library” where some people may keep negative keyword lists to apply to multiple campaigns. Make sure to set alerts or check the billing/payments section if your ads are not showing. Sometimes there can be issues with your credit card or payment method, which can prompt Google to stop your ads from running. If you just pushed your campaigns live and you are not seeing your ads, you may just have to wait! It takes some time for Google to approve ads, keywords and other variables within your campaigns. Most campaigns when pushed live, will start fairly quickly, but practice patience give Google time to approve your campaigns. The above 9 items are some of the main reasons your ads may not show for a given search on Google, even though you may be bidding on those keywords. There are a few other reasons such as having disapproved keywords, or inadvertently having a paused ad group or campaign that you didn’t notice originally. If your ads aren’t showing, run through this list and check your settings. Likely it’s not showing for one of these reasons.